BlueStar Indexes is a wholly-owned subsidiary of BlueStar Global Investors LLC, a research-focused financial firm that specializes in the Israeli capital markets. BlueStar’s mission is to develop investment strategies that provide global institutional and retail investors efficient access to the full range of Israeli asset classes. Our initial focus is on Israeli stocks trading worldwide, but our research efforts span public equity, private equity/venture capital, fixed income, mutual fund and absolute return strategies….. Our first product is the BlueStar Israel Global Index (BIGI), a benchmark designed for broad, deep and complete coverage of Israeli companies, providing balanced sector exposure to Israel’s dynamic economy. Fruition TechFund LLC is a U.S. (Chicago) based management fund that scouts and invest in Israeli and U.S. Technology companies and actively participate with their management. Through a unique investment structure enables investors to make separate investments directly in each tech company and receive both a current stream of cash flow and long-run upside. 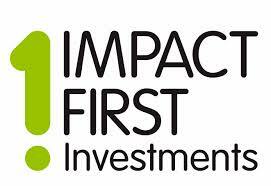 Impact First Investments (IFI) is the first Israeli-based investment management firm that exclusively invests in viable and socially driven high tech companies. IFI and its investors seek to achieve both social and financial returns by investing in companies that provide technological solutions to global social, medical, and environmental challenges. JANVEST is a U.S.-based investment group operating a series of Institutional Angel funds directed at seed stage innovation within Israel’s emerging technology market. Our focus is on disruptive Internet, Software, Telecommunications, and Security/Defense technology companies to which our management team can provide value added advisory services, as well as an array of marketing and business development support. My Seed Tech Fund is looking for promising early stage software startup teams. We invest our money and time in growing pre seed and seed stage companies. From the very start, we add value by supporting the team, turning technology into product, and finding product/market fit. Our investments range from 25k to 1M. OurCrowd is an equity-based crowdfunding platform, built exclusively for a select group of accredited investors to provide venture capital funding for Israeli (and later global) venture capital start-ups. Membership in the community is vetted and offered only to people who meet the stringent accreditation criteria. Accredited investors who are accepted into the community can make minimum investments of $10,000 per deal. The initial focus of OurCrowd will be the dynamic early stage funding market in Israel and only companies that have passed a rigorous due diligence process will be added to the platform. All term sheets will be pre-negotiated and OurCrowd’s management company and affiliated mentor network will lead the investment with their own money. OurCrowd has become the first Israel focused, equity-based investment platform to launch and one of the world’s leading accredited investor only platforms. Trendlines A venture capital firm that invests in, incubates, and develops early-stage, high-promise medical and agricultural technology companies in Israel, a global leader in start-up ingenuity. Trendlines creates and develops companies to improve the human condition. 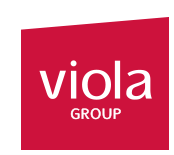 Viola-Group is Israel’s premier high-tech private equity fund group ($2Billion+ assets under management and 100+ companies in portfolio), co-founded by Shlomo Dovrat, Harel Beit-On and Avi Zeevi in 2000, and later joined by Jonathan Kolber and others. The group operates three institutional investor oriented fund types offering specific professionally managed exposure to private Israel technology companies in their respective asset classes: 1. Venture capital; 2. Private Debt; and 3. Private Growth Equity and Buyouts. Viola also manages Viola Partners Fund. This unique fourth fund type aims for multi-asset class exposure within the other three Viola fund types and offers priority access to syndications and co-investments, leveraging Viola’s experienced management team and proprietary deal-flow. The Partners Fund enables Qualified Purchasers ($1M minimum), an opportunity to target diversified exposure to the Israel High-Tech private company scene not typically possible outside of large institutions and/or larger investment sizes. iAngels – If you had the time, you too could immerse yourself in the high-tech hub of Tel Aviv, travel north to the R&D epicentre of Haifa or follow us up to the science centres in the hills of Jerusalem. You could attend conferences, listen to pitches and talk with industry insiders, VCs and analysts. You’d do your own due diligence, negotiate your own deal-terms and essentially, make angel investing in Israel your full-time life’s work. It’s okay- that’s our job and we love what we do. But more than that, if you invest with iAngels, you’ll be investing with influence on your side. Because we attract Israel’s top-performing entrepreneurs, we’re often the first to know about emerging opportunities and discoveries before other angel investment groups. Because we understand the expectations of lead investors and savvy angels, entrepreneurs seek us out and ask for our advice. Investing with influence on your side doesn’t remove the risk of investing in early stage companies. But it mitigates it with rigorous analytics that our team has refined from years of experience in portfolio management, investment banking and corporate technology advisory roles. With iAngels as your eyes and ears on the ground, you get the best deals – something that may otherwise be difficult for you to access. We take an active hands-on role in the companies we select. We put our industry insights and contacts to work for the enterprises in your portfolio, so you are a win/win partner optimizing their wealth-creation. AMIDEX35 Israel Mutual Fund is the most convenient way to invest in Israel’s key sectors. We don’t try to “time” or “outguess” the market. Our index methodology results in lower portfolio turnover and potentially lower capital gain taxes. The index offers broad sector exposure to Israel’s vibrant economy, including information technology, health care, and financials. The index is a rules-based index that tracks the overall performance of the largest and most liquid publicly traded Israeli and Israeli-linked companies, as well as mid-cap and small-cap Israeli and Israeli-linked companies that display sufficient liquidity. Aberdeen Israel Fund, Inc. The Fund seeks long-term capital appreciation by investing primarily in equity securities of Israeli companies. It is the policy of the Fund to invest its assets in Israeli equity securities. For these purposes, “Israeli securities” includes common and preferred stock, warrants, options and debt securities organized under the laws of Israel. DISCLAIMER: THE INFORMATION PROVIDED IS INTENDED FOR ACCREDITED INVESTORS ONLY. ALL INFORMATION ON THIS DOCUMENT HAS BEEN PROVIDED BY THE ENTITIES SEEKING FUNDING, AND conexx MAKES NO REPRESENTATION AS TO THE ACCURACY OR COMPLETENESS OF ANY SUCH INFORMATION. PLEASE CONSULT WITH YOUR PROFESSIONAL ADVISORS IN ORDER TO ASSURE THAT YOU OBTAIN ALL INFORMATION NECESSARY OR DESIRABLE FOR YOU TO MAKE ANY FUNDING DECISION. conexx IS NOT AWARE THAT ANY REGISTRATION OF SECURITIES HAS BEEN UNDERTAKEN UNDER THE LAWS OF THE UNITED STATES OR OF ANY STATE WITH RESPECT TO THE ENTITIES AS TO WHICH INFORMATION IS BEING PROVIDED, AND conexx BELIEVES THAT NO REVIEW OF THIS INFORMATION HAS BEEN MADE BY ANY SECURITIES REGULATORY AUTHORITY. conexx IS NOT A BROKER OF SECURITIES AND RECEIVES NO CONSIDERATION FOR MAKING AVAILABLE TO YOU INFORMATION CONCERNING ENTITIES SEEKING FUNDING. conexx IS NOT AN AGENT OF ANY SUCH ENTITY NOR IS IT YOUR AGENT, AND conexx HAS NO LEGAL OR FIDUCIARY DUTY TO SUCH ENTITY OR TO YOU.